Fans of the "The Vampire Diaries" season 8 who watched the fifth episode might be shocked when they found out that Caroline (Candice King) and Alaric's (Matt Davis) twins are missing. Here is a look of what's happening in the sixth episode of "The Vampire Diaries" season 8. According to the synopsis of the sixth episode titled "Detoured on Some Random Backwoods Path to Hell," Caroline needs to explore every possible way to keep her family secure, after the sirens plotted to go after her kids. Regardless of the growing power of the sirens, she will do everything she can to rescue Damon (Ian Somerhalder) and her kids. Stefan (Paul Wesley) will help her save their beloved twins from the hands of their antagonists. Stefan and Caroline will race against time in order to make the family complete again. The extended teaser of the sixth episode shows that Damon sets up to attack Stefan, but there are no guarantees that he will survive. GameNGuide reports that the sirens, Seline (Kristen Gutoskie) and Sybil (Nathalie Kelley), want to offer Aracadius, also known as Cade (Wole Parks), a deal to get out of their agreement with the devil. They do not have any plans to harm the children; the twins just remind the sirens what they were like when they were still young. Enzo (Michael Malarkey) could not counter-attack Sybil's maneuver. There is an extended promo clip shared by Inquisitr detailing the scene wherein Seline tells Alaric that the twins will be okay. Looks like the fans will have to wait a little longer to see the next episode. 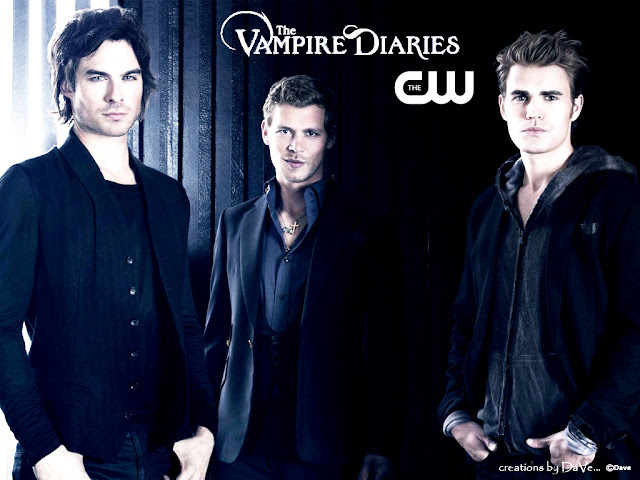 "The Vampire Diaries" was on a temporary hiatus to give way to Thanksgiving. Viewers need not worry because they will be back on the first week of December. Catch "The Vampire Diaries" season 8 episode 6 on Dec. 2 Thursday, at 8 p.m. EST on The CW.